I was most impressed by the excellent directions re: stripping wires to their correct length. Number 6 wire is difficult to handle, and having each wire the correct length is essential. The great directions made the task much easier than it could have been. 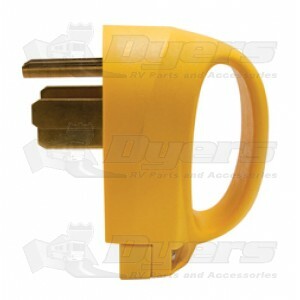 The plug seems durable, and the handle makes the task of removing the plug much easier. The plug is not cheap, but it's a whole lot better than having to pay for a replacement cable from Marinco.